Custom handmade bumper cover for strollers. 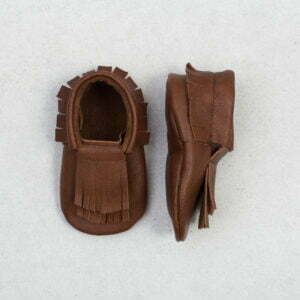 Made in the same high quality chrome free leather as our moccasins. With color matched zipper. Available in six colors. 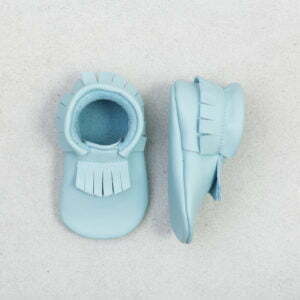 We always customize your order, due to the fact that the size can vary between stroller of the same model. 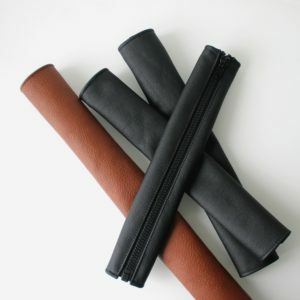 Custom handmade handle cover for strollers. 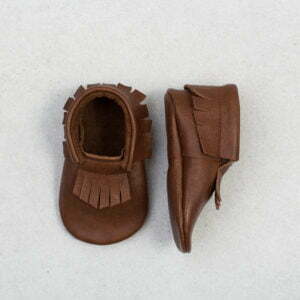 Made in the same high quality chrome free leather as our moccasins. With color matched zipper. Available in six colors. 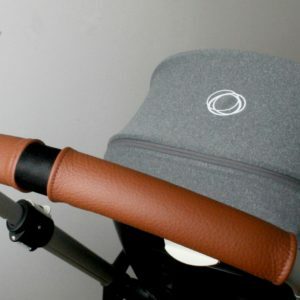 We always customize your order, due to the fact that the size can vary between stroller of the same model. LACED is a moccasin handmade with blue genuine leather. 100% chrome-free. The lace is merely decorative. Stays on the foot with the help of a elastic rubber band. 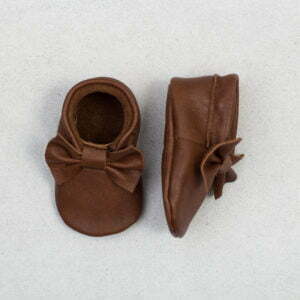 LACED is a moccasin handmade with brown genuine leather. 100% chrome-free. The lace is merely decorative. Stays on the foot with the help of a elastic rubber band. 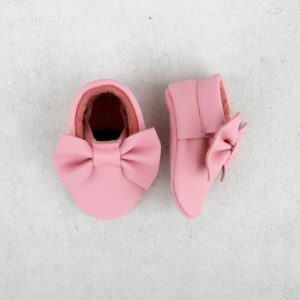 LACED is a moccasin handmade with pink genuine leather. 100% chrome-free. The lace is merely decorative. Stays on the foot with the help of a elastic rubber band. LACED is a moccasin handmade with black and white genuine leather. 100% chrome-free. The lace is merely decorative. Stays on the foot with the help of a elastic rubber band. 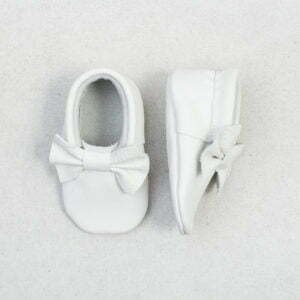 LACED is a moccasin handmade with white genuine leather. 100% chrome-free. The lace is merely decorative. Stays on the foot with the help of a elastic rubber band. PAPILLON is a moccasin handmade with blue genuine leather. 100% chrome-free. Stays on the foot with the help of a elastic rubber band. 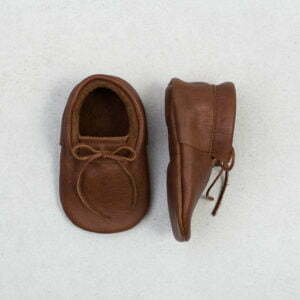 PAPILLON is a moccasin handmade with brown genuine leather. 100% chrome-free. Stays on the foot with the help of a elastic rubber band. 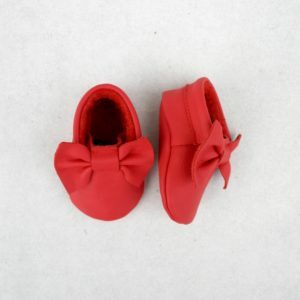 PAPILLON is a moccasin handmade with red genuine leather. This Christmas edition is perfect for the holidays or as a Christmas gift, and looks good all year round! 100% chrome-free. Stays on the foot with the help of a elastic rubber band. 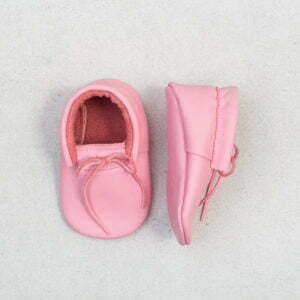 PAPILLON is a moccasin handmade with pink genuine leather. 100% chrome-free. Stays on the foot with the help of a elastic rubber band. 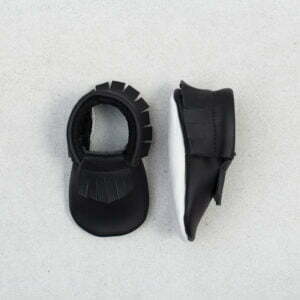 PAPILLON is a moccasin handmade with black and white genuine leather. 100% chrome-free. Stays on the foot with the help of a elastic rubber band. PAPILLON is a moccasin handmade with white genuine leather. 100% chrome-free. Stays on the foot with the help of a elastic rubber band. 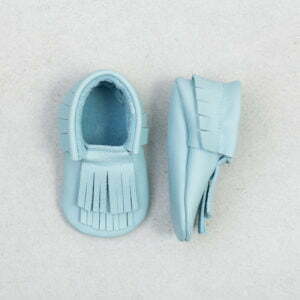 TRIBE is a moccasin handmade with blue genuine leather. 100% chrome-free. Stays on the foot with the help of a elastic rubber band. 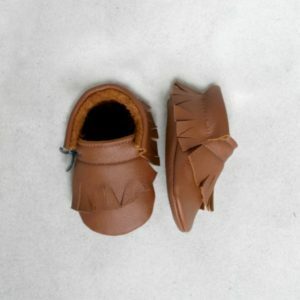 TRIBE is a moccasin handmade with brown genuine leather. 100% chrome-free. Stays on the foot with the help of a elastic rubber band. 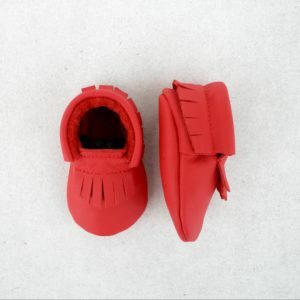 TRIBE is a moccasin handmade with red genuine leather. 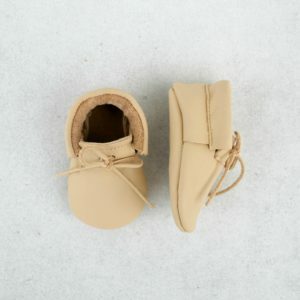 Perfect to keep small feet warm while waiting for Santa! 100% chrome-free. Stays on the foot with the help of a elastic rubber band. 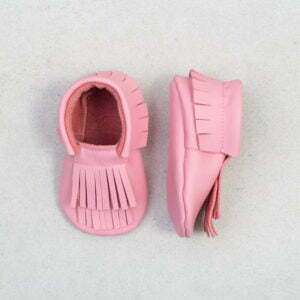 TRIBE is a moccasin handmade with pink genuine leather. 100% chrome-free. Stays on the foot with the help of a elastic rubber band. 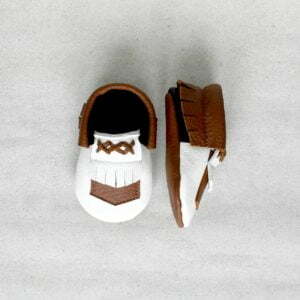 TRIBE is a moccasin handmade with black and white genuine leather. 100% chrome-free. Stays on the foot with the help of a elastic rubber band. 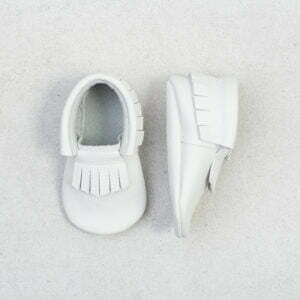 TRIBE is a moccasin handmade with white genuine leather. 100% chrome-free. Stays on the foot with the help of a elastic rubber band. TWICE THE FUN is a moccasin handmade with blue genuine leather. 100% chrome-free. Stays on the foot with the help of a elastic rubber band. TWICE THE FUN is a moccasin handmade with brown genuine leather. 100% chrome-free. Stays on the foot with the help of a elastic rubber band. TWICE THE FUN is a moccasin handmade with pink genuine leather. 100% chrome-free. Stays on the foot with the help of a elastic rubber band. TWICE THE FUN is a moccasin handmade with black genuine leather. 100% chrome-free. Stays on the foot with the help of a elastic rubber band. TWICE THE FUN is a moccasin handmade with white genuine leather. 100% chrome-free. Stays on the foot with the help of a elastic rubber band. WILD is a moccasin handmade with black and brown genuine leather. We just went a little crazy with this one! 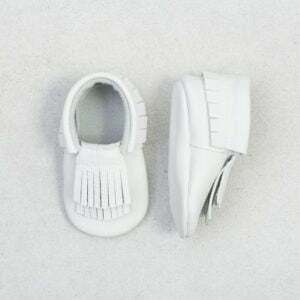 With a different fringe cut, the placement of the lace and the extra fringe length makes this moccasins as wild and playful as a child. 100% chrome-free. The lace is merely decorative. Stays on the foot with the help of a elastic rubber band. WOODLAND is a moccasin handmade with white, brown and black genuine leather. 100% chrome-free. Part of our SS 2016 collection. Stays on the foot with the help of a elastic rubber band. 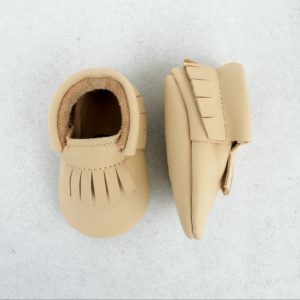 CARAMEL is a moccasin handmade with beige and black genuine leather. 100% chrome-free. The lace is merely decorative. Stays on the foot with the help of a elastic rubber band. CHIC is a moccasin handmade with beige and white genuine leather. 100% chrome-free. Stays on the foot with the help of a elastic rubber band. 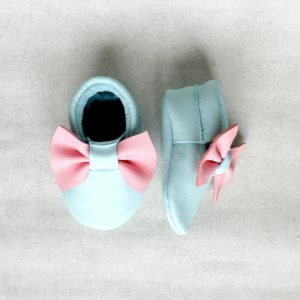 COTTON CANDY is a moccasin handmade with pink and light blue genuine leather. 100% chrome-free. Stays on the foot with the help of a elastic rubber band. 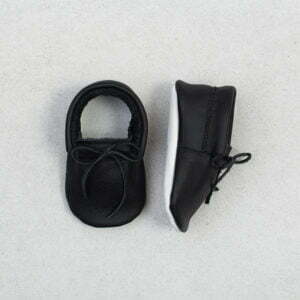 FASHIONISTA is a moccasin handmade with black and white genuine leather. 100% chrome-free. Stays on the foot with the help of a elastic rubber band. LACED is a moccasin handmade with beige genuine leather. 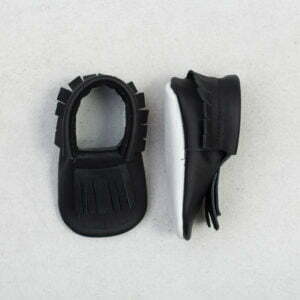 Designed to look like an ordinary shoe but with the benifits of a soft sole! 100% chrome-free. The lace is merely decorative, so no fuzz with lace when putting it on. Stays on the foot with the help of a elastic rubber band. 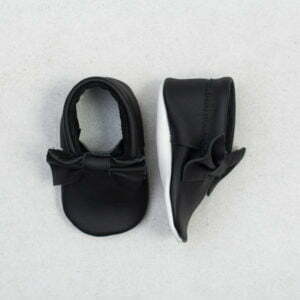 LICORICE is a moccasin handmade with black and white genuine leather. 100% chrome-free. The lace is merely decorative. Stays on the foot with the help of a elastic rubber band. 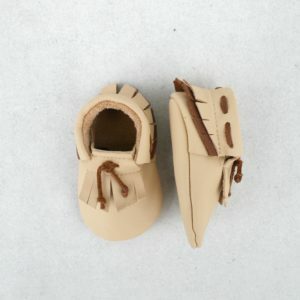 PAPILLON is a moccasin handmade with beige genuine leather. 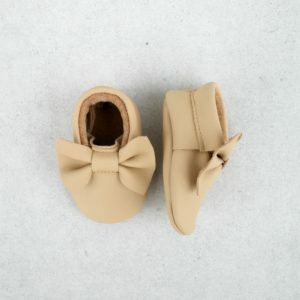 The soft neutral color and the cute bow goes with most things in the closet! 100% chrome-free. Stays on the foot with the help of a elastic rubber band. 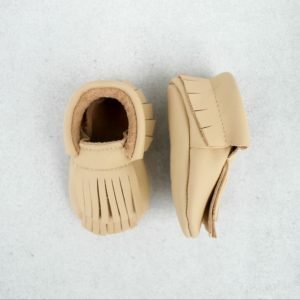 TRIBE is a moccasin handmade with beige genuine leather. The soft neutral color and the classic style goes with everything! 100% chrome-free. Stays on the foot with the help of a elastic rubber band. TWICE THE FUN is a moccasin handmade with beige genuine leather. For all the fringe lovers out there! Goes with both a pair of leggings as a printed dress. 100% chrome-free. Stays on the foot with the help of a elastic rubber band. WOODLAND is a moccasin handmade with white, brown and sand genuine leather. 100% chrome-free. Part of our SS 2016 collection. Stays on the foot with the help of a elastic rubber band.